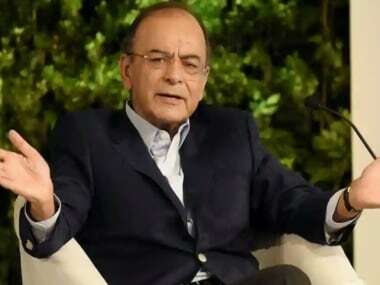 New Delhi: Finance Minister Arun Jaitley Thursday defended the electoral bond scheme saying if donors are forced to disclose their names, the system of political funding through cash and black money will return. 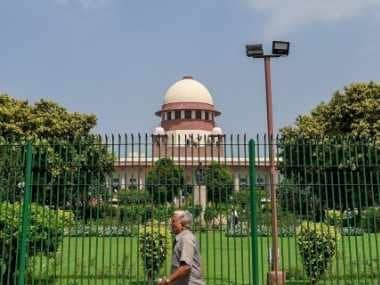 The Election Commission, in an affidavit before the Supreme Court which is hearing the matter, said electoral bonds have made political funding opaque and would have "serious repercussions on transparency of political funding", due to its anonymous nature. The government had in 2018 brought in the electoral bond scheme as an alternative to cash donations made to political parties as part of its efforts to bring transparency in political funding. Under the scheme, the name of the donor is known only to banks. File image of Finance Minister Arun Jaitley. "If you ask people to disclose that (identity of a donor) also, then I am afraid the cash system will be back," he said, adding people find fault with the scheme but not come up with any alternative to check the use of black money in the electoral process. "There is a particular psyche of individuals, particularly in the NGO sector, that they don't suggest a solution but they have a problem with every solution. The EC ... has also succeeded in many, many areas and became an extremely successful role model Election Commission. But money it has not been able to control,” Jaitley said at the CII AGM. The minister further said that in the earlier system identities of donors, intermediary, as well as the party receiving the fund were not known. He regretted that people participating in this debate are finding flaws with the electoral bonds scheme but are not suggesting any alternative. The SBI has sold electoral bonds worth Rs 1,716 crore in January and March this year against the Rs 1,056 crore of bonds sold in six months in 2018. 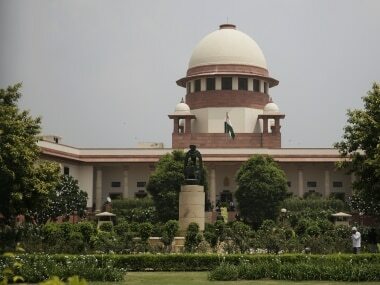 A bench headed by Chief Justice Ranjan Gogoi will hear the pleas challenging the validity of the Centre's decision on issuance of electoral bonds for political funding on 5 April. Referring to the issue of non-NDA parties forming a federal front ahead of the general elections, Jaitley said it is a “dangerous idea” and could end up making India a “confederation of states”. “I think we need to improve our pace of growth, to eradicate poverty, need further enrichment... I think we need decisiveness, need coherence and a five-year government and not a six-month government,” he said. Jaitley said that if India can maintain its position as the fastest growing major economy in the world in the next 10 years, it could become a reasonably middle-income economy, depleting poverty to negligible levels. “My own assessment is not in this election, but by the next general election 2024, India's middle class and neo middle class will be the largest vote component. And therefore if that's the trend, the quality of public discourse in policies will have to be completely different. Governments, politicians, ministers, leaders, manifestos will be tasted and judged by much harsher standards,” he said.